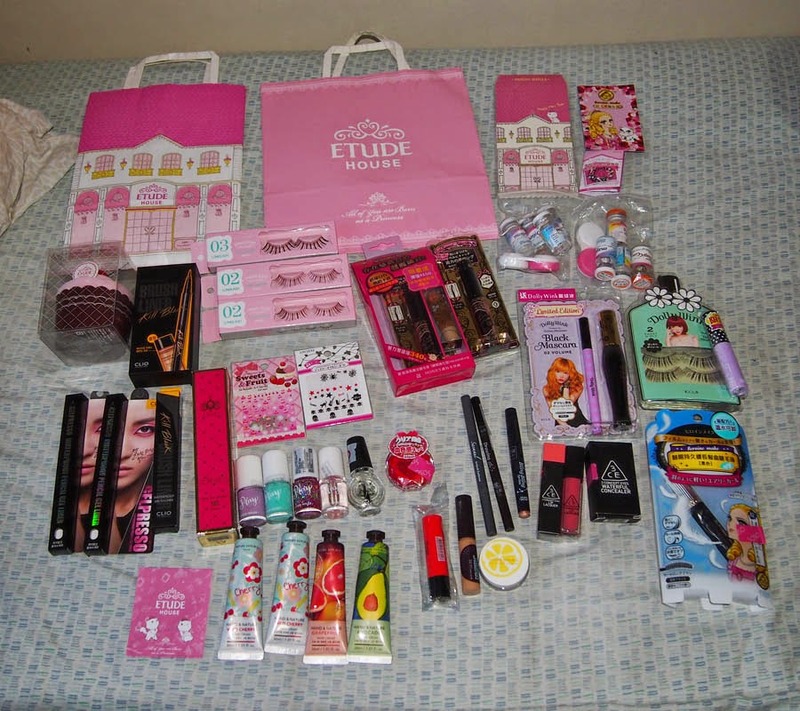 My lucky draw gift for spending over $37 at Etude House Singapore. 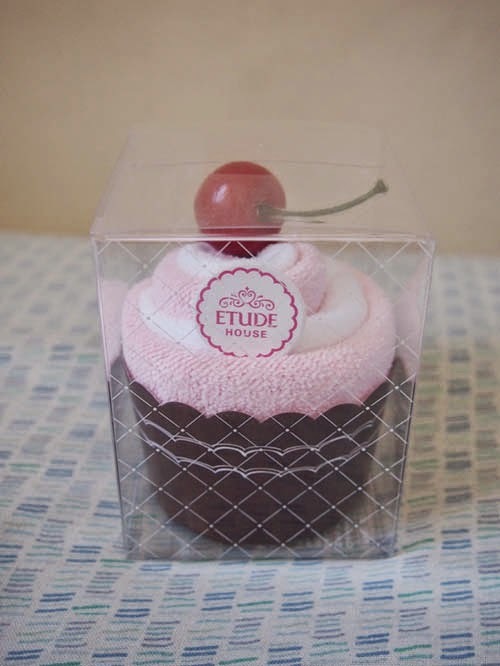 It is a cupcake hand towel. To be honest, I really wanted the $60 gift with purchase. 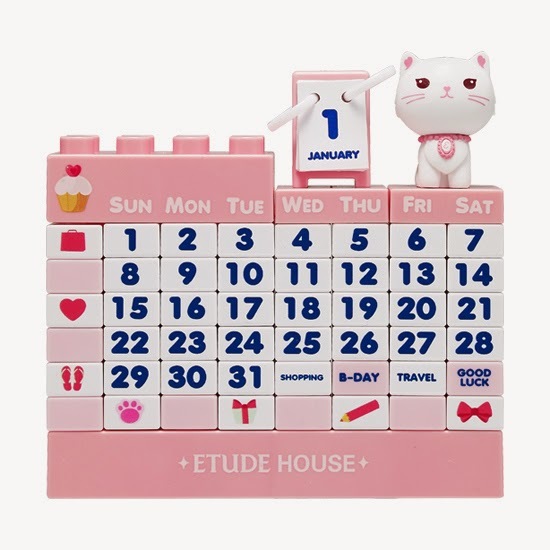 It was the Etti Block Calendar and a pink hand-held Princess Mirror. The mirror was so pretty! I can't seem to find a picture of it online though. The more I look at this, the more I want it. Can't justify spending $60 in store to get it though. 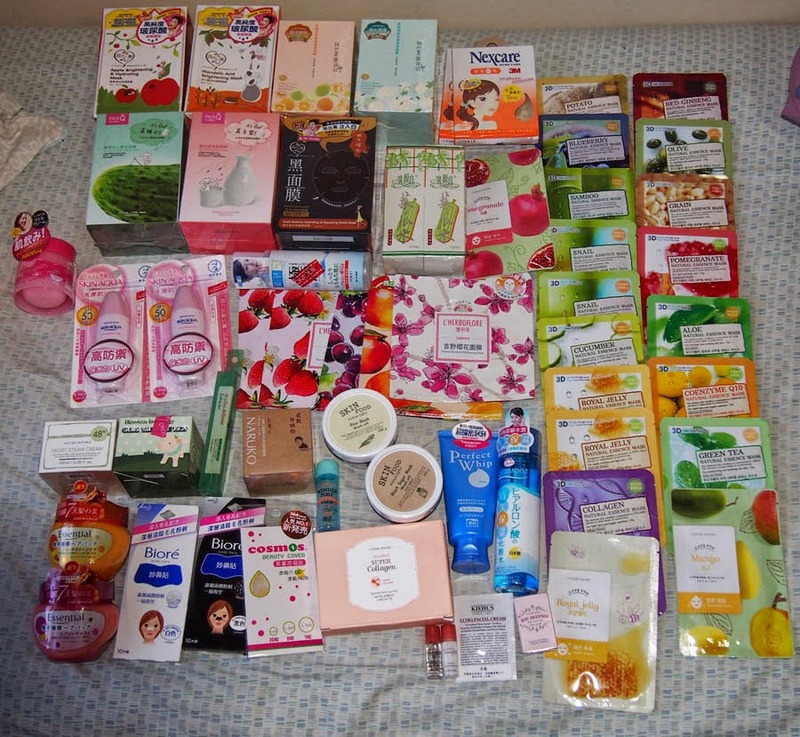 I already used up some of the things I purchased during my trip and so they are not pictured such as masks, and a few other smaller sachet/foil samples and a deluxe BB Cleanser sample from Etude House I forgot to dig out, or had already used. 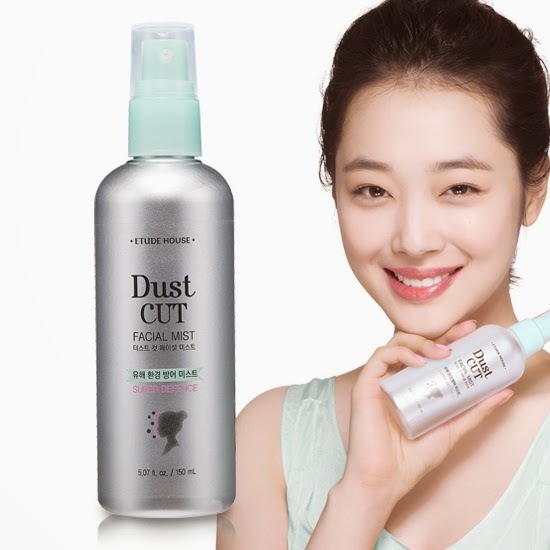 I realise I also forgot to put in a picture of the Etude House Dust Cut Mist I got in Singapore. It looks like this. 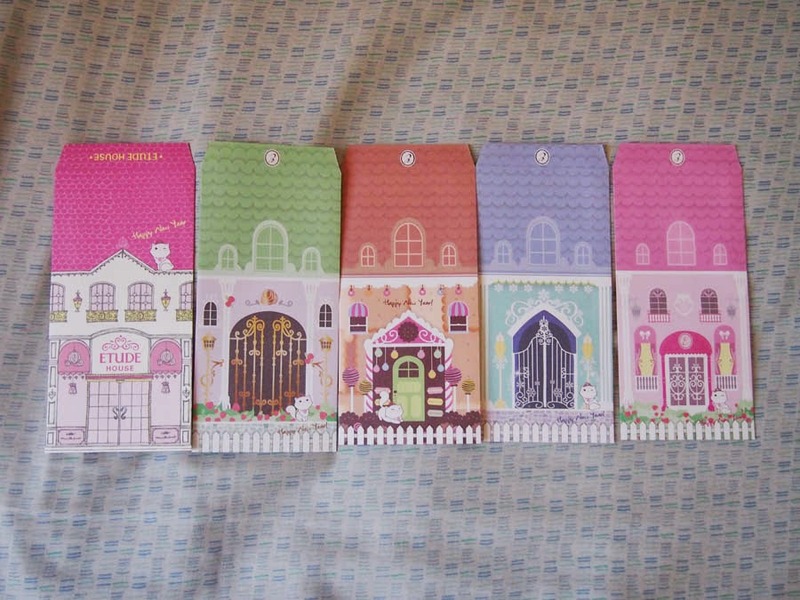 Free gift from Etude House Taiwan. New Year red pocket in the form of the Castle Hand Creams. The bag from Taiwan is so beautiful! I love it so much. 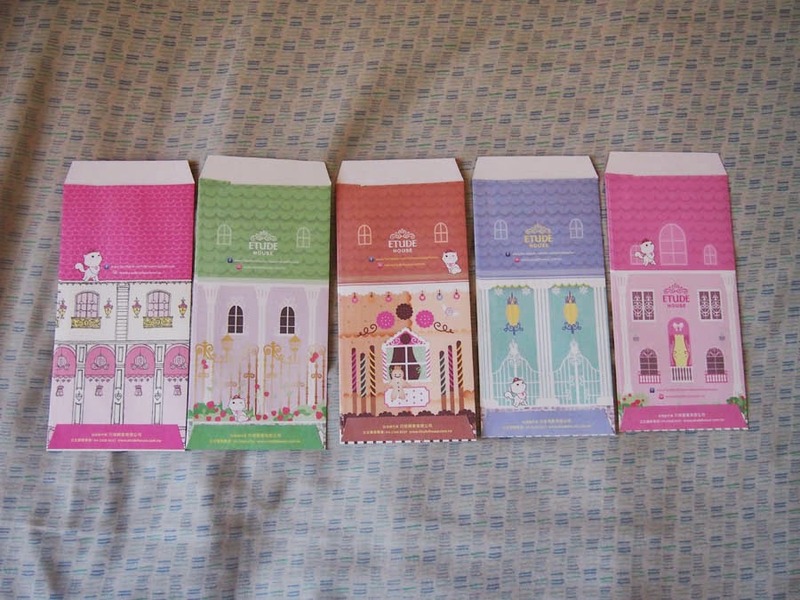 I think Etude House has turned me back into a little girl. I used to hate, hate, HATE (and detest) pink. Now I'm rocking pink eyeshadow, pink eyeliner, pink lipstick, pink cheeks, and sometimes pink nails. I still can't bring myself to wear pink clothing though. Etude House does everything right and I love this brand a lot. Not sure if people are interested in prices, or actual lists of the items. I typed it out in an inventory in Excel so I can update this post if need be. I do not have prices for things I purchased in Taiwan though... all the receipts are in Chinese and I can't figure out what is what. Wow that's a really impressive haul! 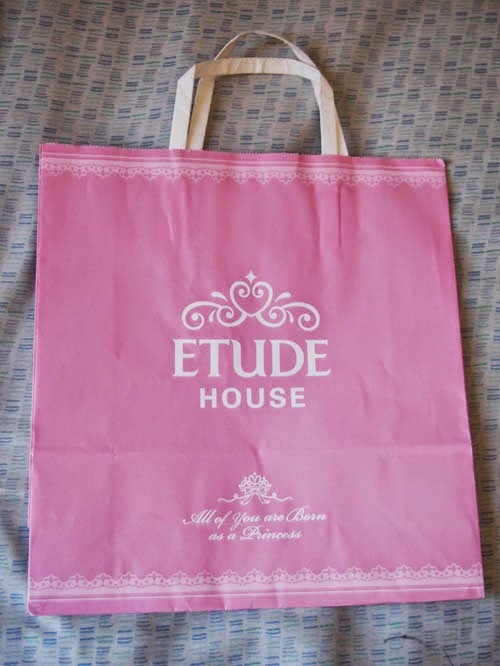 I was in Singapore recently too and for some reason I forgot to buy anything in Etude House (it's my favourite makeup brand). Gonna follow your blog! Thank you (and this is a start to my no-buy from March... which I have already broken twice since)! 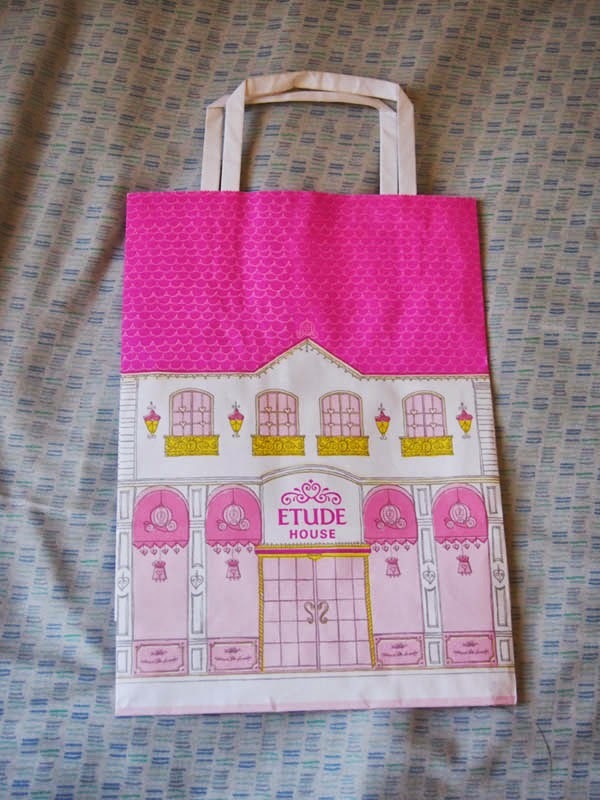 Next time you visit Singapore, you should definitely pick up something from a physical Etude House store. The girls were so nice and the displays and gifts with purchase was awesome.